← When I say deandre … you say JORDAN!!! … DEANDRE!!! 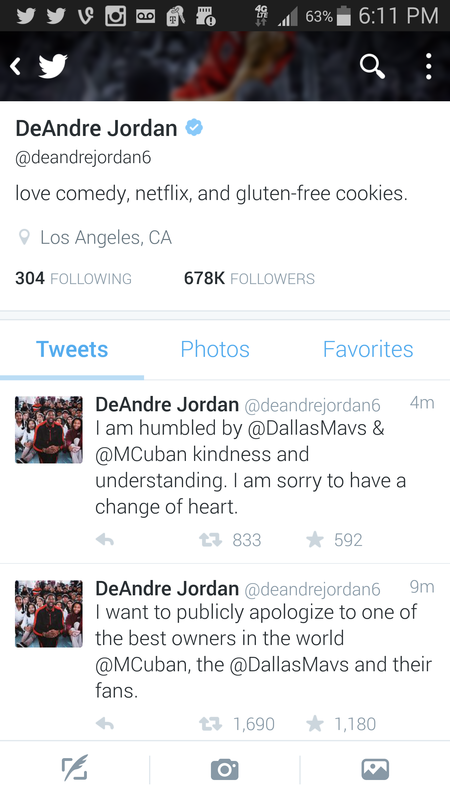 Deandre Jordan Apologizes to Mark Cuban!! !